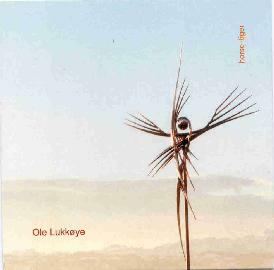 Ole Lukkøye - "Horse Tiger"
It has been a two year long wait for the follow up to Crystal Crowbar, which was my favorite CD in 2000. Last year the band released a live CD called Flown Across The Street, which was not very widely distributed, so many of you have probably never heard it. Anyway, the new CD features the same line up, with Tanya doing half of the vocals and continuing the trend of quite long songs. The opening song on the CD, "Zagoralos", was the extra video track on the Flown Across The Street CD. What a great song. The band continue to evolve their sound and capture a very special shamanic psychedelic folk feeling. The band have used some more electronic synthesizer sounds and atmospheres on this CD. "Zagoralos" (Fire Started in English) totally transports you to another world for 12½ minutes. "The Free Ones" is next and starts with a slow build up of electronics and then Boris comes in with the voices and soon after the bass and drums follow. Totally psychedelic, phew... "Sleepy Herbs" is another excellent track, which mixes all kinds of instruments in with a hypnotic rhythm. "Tara" slowly grows out of the ending keyboard oscillation of "Sleepy Herbs" and samples of pouring water fill the soundscape, followed by mysterious bassoon sounds and a very Russian keyboard line. A special atmosphere is created in this song. Amazing stuff. "The Peacock" is based loosely on a traditional Russian song but far too spaced out and the shortest song on the CD at 7½ minutes. Again featuring the special vocals of Tanya. "Further" closes the excellent CD and is a mostly electronic number with all sorts of psychedelic sounds. One of the best CDs of 2002 for sure! Look for my concert review in next issue as Ole Lukkøye will visit Denmark on Oct 31st. For more information you can visit the Klangbad web site at: http://www.klangbad.de.